Hola! 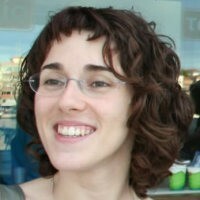 I currently work as Marie Curie Researcher at Pompeu Fabra University of Barcelona. I studied History (BA, 1999), Didactics of the Social Sciences (PGCE, 1999), and Prehistoric Archaeology (PhD, 2006). My research field is the design and evaluation of ICT applications for Cultural Heritage, in relation to which I have worked in universities, museums, and private research foundations, thanks to several international contracts and grants. I like teaching, and I have done so at undergraduate and postgraduate level in several European universities. I started in Virtual Reality, but I am now very much interested in developing mixed reality, full-body interaction and evaluation methodologies in the Cultural Heritage field.